The American singer has a Concert next year in Sao Paulo on January 26th at Via Funchal, phone: (11) 2144-5444. The price of the ticket ranges from R$ 170 to R$ 300. On January 28th, Akon will be in Rio at Vivo Rio, phone: (21) 4003-1212. The price of the ticket ranges from R$ 190 to R$ 380. 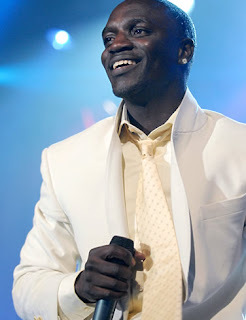 Akon is back to promote the CD titled 'Freedom' and also sings at the Summer Festival in Salvador.